Navin grew up believing he was a black child, however he discovers that he is actually white so he runs to St. Louis to find himself. Navin then goes through all sorts of adventures that put him in ridiculous situations. Steve Martin wrote and stars in the film. 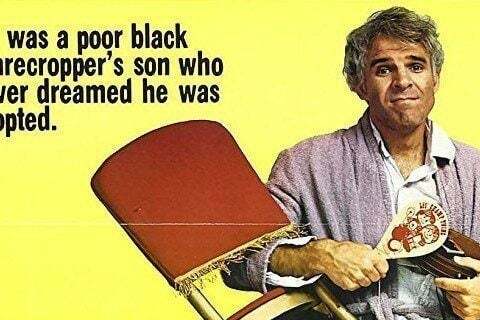 The movie marks Steve Martin's first starring role in a feature film.